Home > Publix Deals > Free Soft Scrub at Publix Through Sunday! Free Soft Scrub at Publix Through Sunday! 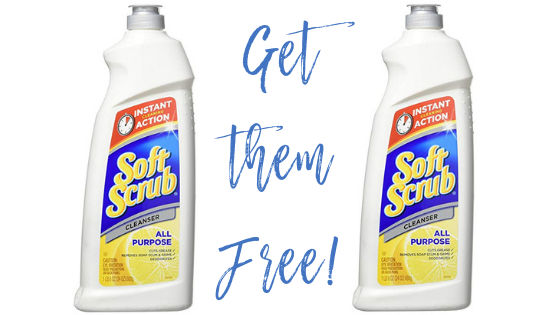 Heads up Florida folks: use your insert coupon to get FREE Soft Scrub at Publix! The coupon expires Sunday, so be sure to use it by then. If you’re somewhere else, use the $2/2 coupon and get it for only 84¢ each!